Are you a plot or character driven writer? How different would some of the well-known movies and books be if we changed the approach? Could The Lord of the Rings be the same without Frodo? What mistake did George Lucas make by using a plot style? And is SK a control freak who needs professional help? In this episode of The Writers' Podcast, we discuss and explore the differences in storytelling between these two types of writers. We also take a look at the advantages and pitfalls of each style as we attempt to answer the question: Does it make a difference to the end story product? Reader reviews can exhilarate the writer or send them to the dark pits of despair and rejection. But in all the good and the bad, there are important clues within even the most critical reviews that can help a writer improve their craft. In this episode, we discuss how to separate the hurtful from the valuable and turn every review into a positive learning experience. Think bestseller lists are all about top sellers? Think again. In this episode, we unravel the mysteries behind the seven surprising factors that go into selecting a bestselling novel. We also discuss some of the methods that Indie authors have used to achieve a coveted place on these lists and how Amazon’s new approach may be an independent author’s best shot at becoming a household name. This week, to help with SK’s Hurricane Recovery Therapy, we’re taking a deeper look into the minds of our two favorite authors. Unfortunately, they weren’t available so we decided to interview each other. And to add a bit of fun, we had no idea what the other might ask. 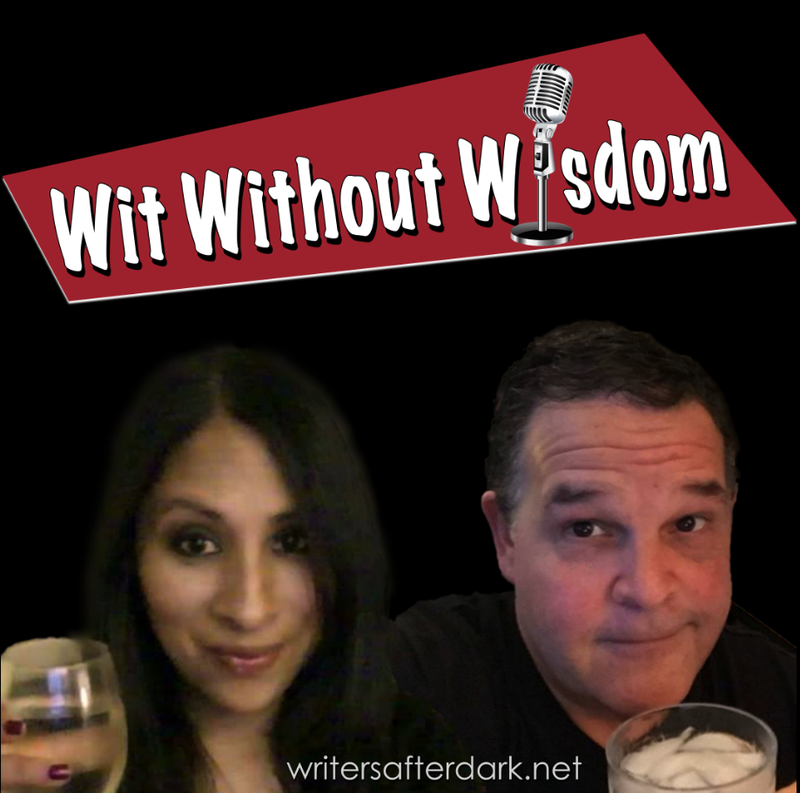 So, here is an opportunity to discover what Raymond's theme song would be, his most outrageous bar bill, which sitcom helped Kat learn English, and what it’s like for an introvert to become a podcaster. There is probably no better experience for a writer than meeting their fans and discussing their books.But today’s readers have so much to choose from to get their attention you need to put effort into social interaction. One of the best ways to both sell and interact with readers is a book fair. Unfortunately, many authors don’t take advantage of this excellent opportunity. We were curious about the pros and cons of book events. 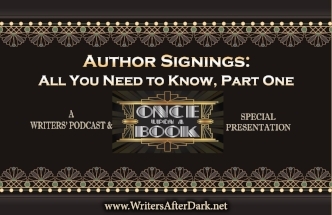 So, recently we took The Writers’ Podcast on the road and visited the Once Upon a Book Event in Frankenmuth, Mi. 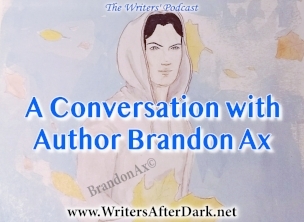 And in this two-part episode, we talked to the book event’s attending authors, heard their insights, and unraveled some of the mysteries of these book events. Visit her at www.staceyrourke.com or go straight to her Amazon page. Jennifer Fisch-Ferguson lives in Michigan where she does all the things writing. She is busy doing academic endeavors when she would rather be writing all about her characters and their many adventures. She spends her free time being a fabulous crazy mom to two dynamic boys and staff member to four highly demanding cats. Jennifer enjoys writing urban fantasy, paranormal romance, speculative fiction and exploring all the questions starting “What if…” which allows her mind to make the mundane much more exciting. Visit her at http://www.authorjff.com or go straight to her Amazon page. Karina Espinosa is the Urban Fantasy author of the Sins of the Fallen series and the Mackenzie Grey novels. Infatuated with travel, pop culture, and the need to write everything down, she spends much of her days in front of a computer working on her next book, shopping online, and listening to music. With nomadic tendencies, she is currently resting her head in South Florida until the itch to move strikes again. You can usually catch her on Facebook, Instagram, and live-tweeting during episodes of Game of Thrones and Orphan Black. 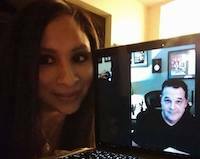 Visit her at https://www.karinaespinosa.com or go straight to her Amazon page. Victoria Flynn is a married mother to two daughters. She loves to travel and try new things and experiences, and spending time with friends and family. When she's not writing, she can be found with her nose buried in a good book or outside enjoying the unpredictable Michigan weather. Victoria is the author of The Voodoo Revival Series. Visit her at https://victoriaflynnwrites.wordpress.com or go straight to her Amazon page. Laura Hawks has several books out, including the Demon Trilogy, The Spirit Walkers Saga, and a couple of stand alone's and a non-fiction souvenir book on the Balconies of New Orleans. You can fidn her most recent work in the Beta's Mark Anthology. Visit her at https://laura-hawks.com or go straight to her Amazon page. Mackenzie is the author of The Rite of Wands, a young adult fantasy series. Her debut novel was released on March 10, 2017, and has already gathered hype and received some incredible reviews. Visit her at http://mackenzieflohr.com or go straight to her Amazon page. Butler's young adult mystery novels feature strong female leads and are woven from elements of horror, suspense, comedy, and mystery, all in a modern, small town setting. She is best known for her Midnight Guardian Series (YA Paranormal Mystery) and Mothman Mysteries (YA Sci-Fi Mystery). Visit her at https://brynabutler.com or go straight to her Amazon page. JW Troemner was born in Germany and emigrated to the United States. Since then, she's spent most of her life orbiting around Indianapolis, where she can be often found gazing longingly at caverns and abandoned buildings. She's the author Urban Dragon—A serial of nine urban fantasy novellas about Arkay, a dragon living on the streets of the American rust belt, and Rosario, her princessthe homeless woman who keeps her out of trouble. Or tries to, anyway. Visit her at https://jwtroemner.com or go straight to her Amazon page. Amy K. McClung was born in Nashville, TN. She is the second oldest of four girls and occasionally suffers from middle child syndrome. She met the love of her life online in August of 2004, on his birthday of all days, and married him in September 2005. She began writing in September of 2011 and independently published her first YA novel called Cascades of Moonlight, Book one of the Parker Harris Series the following May. Visit her at https://allauthor.com/profile/amymcclung/ or find her on Amazon here! Using colors in your writing is a fantastic way to add symbolism and foreshadowing to your story. They can enrich your scenes . . .
A book blurb is an important tool in convincing your readers to buy your book. Essentially, it’s a sales pitch. And you want it to be KILLER. Like most writers I have often been plagued by writer’s block, a lack of inspiration, and have violated my resolution to hit a deadline. The dichotomy between my prolific professional production and . . .